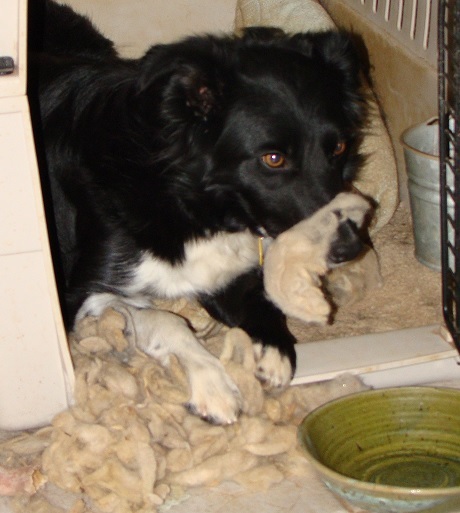 I made Jack a bed for his kennel stuffed with some of the fleece from his beloved sheep. He immediately tore into it and has been demolishing it a little at a time. He makes me laugh. Every. Day.